In Vigo County, Mother Goose on the Loose is an award-winning early-literacy program for children from birth through preschool age in Vigo County and is funded by the Vigo county Public Library and United Way’s Success By 6. Where is Mother Goose located? Mother Goose is stationed at the Vigo County Public Library. She travels in her Goose Mobile to area daycares and events, as well as having sessions at the library. Do I quality for the MGOL program? If you live anywhere in Vigo County, you do. How long is a MGOL session? A typical session is from 20 – 30 minutes. When do new MGOL sessions begin? New session begin in August and run through July. 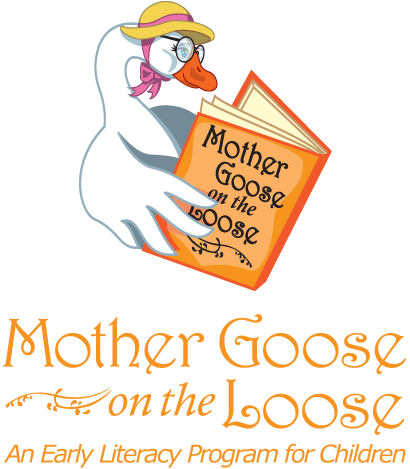 If you are interested in having MGOL visits at you childcare give Mother Goose a call at 812-232-1113, ext. 2298. The program is hugely popular and fills up quickly. You can also sign up on the waiting list. Our Mother Goose facilitator, Dora Garraton, will ask questions about the number of kids in your daycare, ages, and just get to know you and your daycare a little better. She will also answer any questions you may have. If at this time the sessions are full, she will put you on the waiting list for next year. No. Mother Goose will bring all that she needs for that session. Can my daycare participate in the summer reading program? Yes! Just let Mother Goose know how many reading logs you will need. Even babies are encouraged to participate since the activities listed on the log involve reading, singing, writing, talking, playing. The Summer Reading Program begins in June and runs through the end of July. At the end, the children will receive a small prize. Does Mother Goose only go to daycares? Mother Goose has been to one-time events such as: farmer’s markets, Earth Day gatherings, agency picnics and other community events. She is available anywhere children and families gather! How can I invite Mother Goose to one of my events? Call Dora Garraton at the library at 812-232-1113, ext. 2298. How can I receive MGOL training? Mother Goose on the Loose offers different training options depending on the kind of program that fit your needs best. Learn more at www.mgol.net/workshops. Is there a website for MGOL? Yes! There are wonderful developmental tips, book suggestions, rhymes, and resources at www.mgol.net. Is there a free MGOL app? There is a free MGOL app available through iTunes.